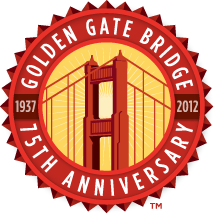 The Golden Gate Bridge 75th Anniversary offers b-roll on MP4 format. Footage includes a variety of shots that are designed to allow stations to produce stories without having to shoot at the site or supplement their existing footage. Instructions for requesting b-roll footage can be found at the bottom of the page. Click on the video thumbnail to play the b-roll sample video. a. We’ll respond by e-mail and arrange to get the footage to you promptly.